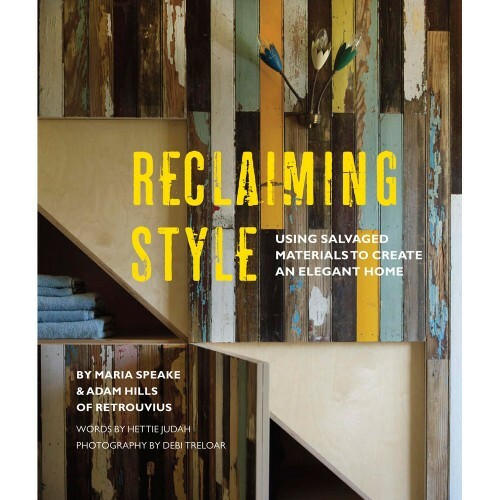 Adam Hills and Maria Speake, the partners behind architectural salvage and design business Retrouvius, combine their salvage work with one of the most sought after interior design practices in Britain. Reclaiming Style goes with them behind the scenes, from the demolition site to the warehouse to the process of designing with reclaimed materials. Charted over twelve locations, ranging from a 17th-century cottage to a converted barn to a 1970s towerblock apartment, the company's unique style offers an inspiring new vision for sophisticated, thoughtfully constructed living spaces.